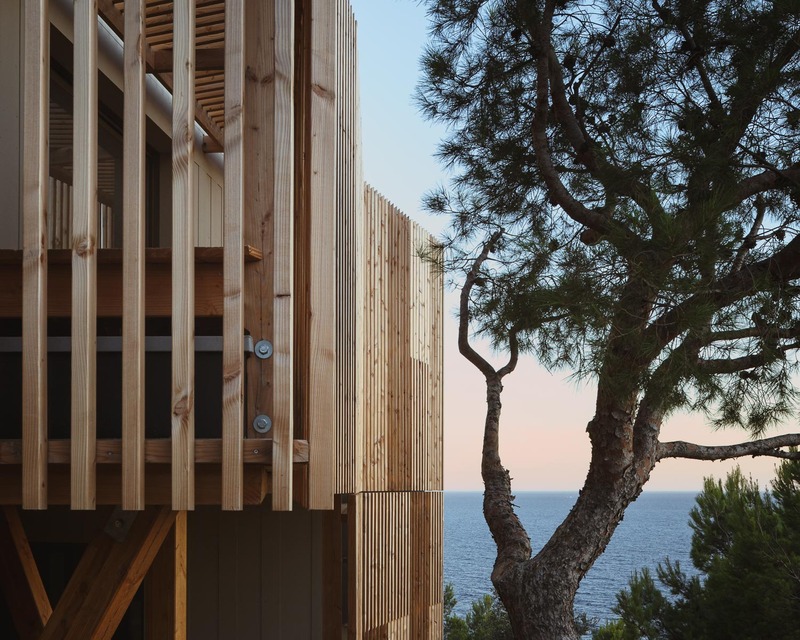 On the south-east coast of France, in Ensuès-la-Redonne near Marseille, there is a secluded contemporary and innovative wooden cabin overlooking the mediterranean sea. Christophe Migozzi, of the French architecture firm Bonte & Migozzi, got inspired by the link between the region and ancient Greek history to revisit “the primitive atmosphere of the cottage, by reinterpreting a contemporary version of ‘Ulysses’ vessel that surfs on a slope like a crab trawler’” as the firm stated to the press. The KGET Villa is in absolute harmony with its surroundings, thus making it the ideal summer destination, for all the people out there looking for an escape from the overcrowded and noisy cities. 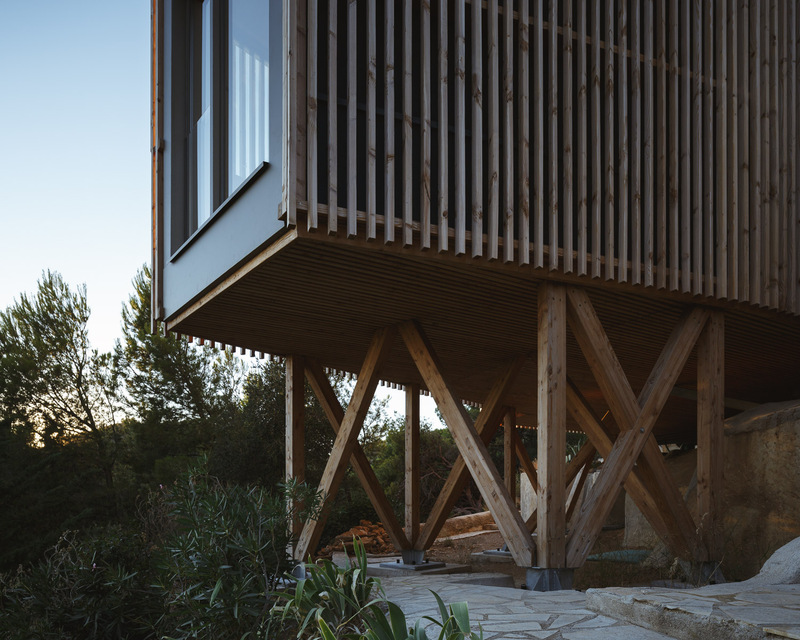 With the intent not to hurt nor alter the surface of the land in any way, they stayed away from any intrusive construction techniques and designed the cabin to be supported exclusively by stilts. 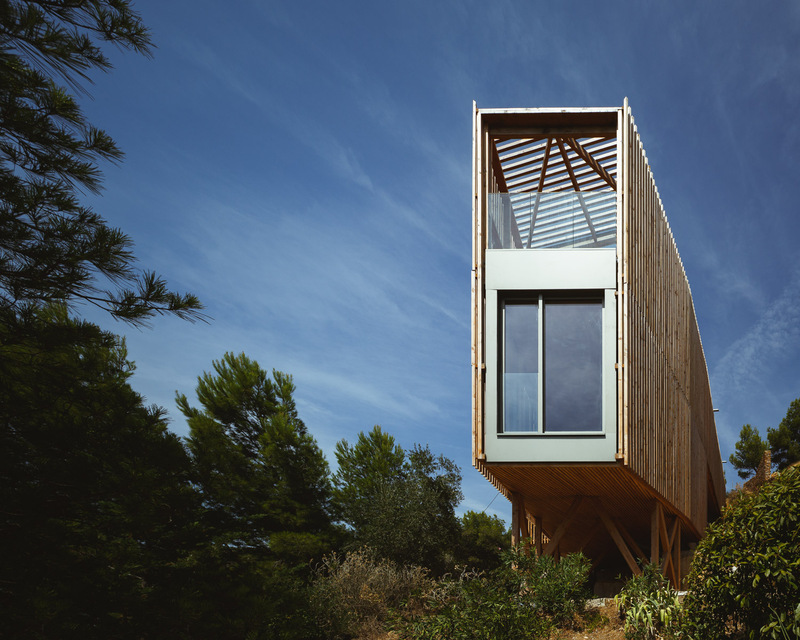 The interiors are made of laminated douglas wood and covered by shinoki ash panels whilst the external structure is crafted with larch brackets placed vertically, giving the villa a timber feel. 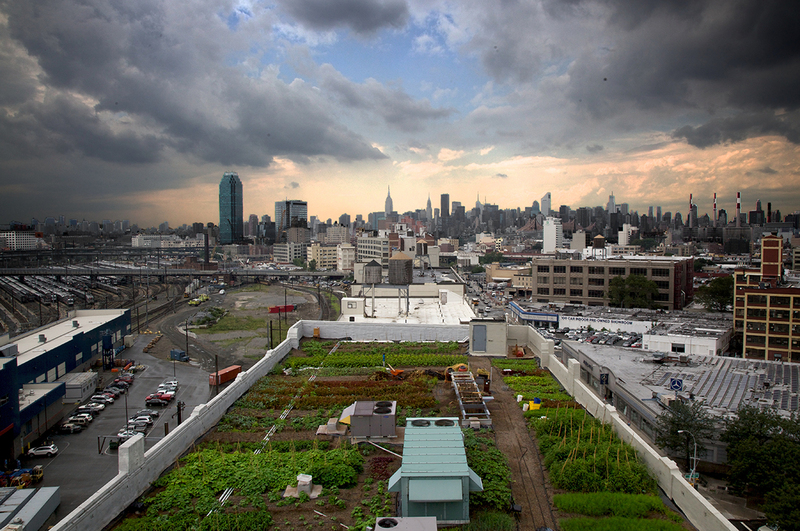 The architects also respected the plant life in the area and replaced the trees that had to be cut down with fig trees, eucalyptus trees, viburnum, opuntia and others. 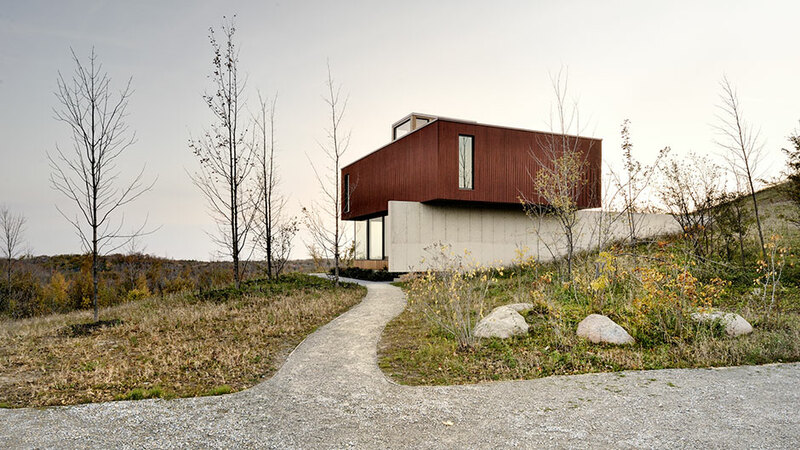 The villa is located near a slope and with a very limited number of other houses around the area, the visitors have privileged access to a breathtaking view of the sea. Both during the day but also during the night, when the coastline gets lit up by the street and house lights that reflect in the water. Introducing the artist who turned Kim Kardashian into an avatar.